This was McShann's biggest hit, featuring Priscilla Bowman on vocals. 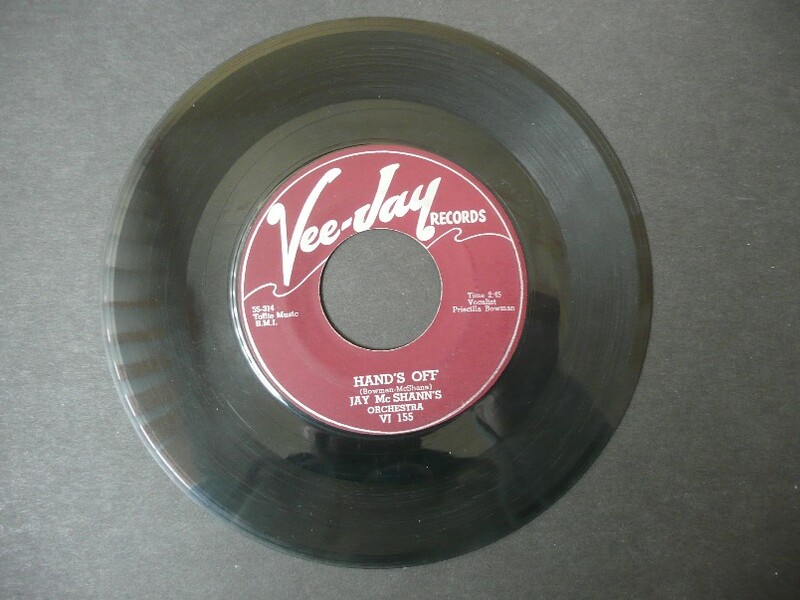 It was released as a single on Vee-Jay VJ 155 with the grammatically incorrect title of "Hand's Off.". According to the sleeve-notes of "The Home Recordings," Elvis's recording of this number was recorded in Perugia Way, Bel Air; the book, "A Life In Music," however, gives Monovale Drive, Hollywood, as the recording location. The number itself isn't original, being a rewrite of a country song called "Keep Your Hands Off Of It (Birthday Cake)."